Despite often being credited as an American food, hot dogs actually owe their origins to the country of Germany, where they were known as frankfurters. At the time, hot dogs were almost always made up exclusively of pork and beef sausage. This tasty treat was well known and popular in the city of Vienna, Austria. In German, they pronounced "Vienna" as "Wien". Hence, sausages that came from Vienna were called "wienerwurst" in German, which eventually was shortened to just "wien" and "wieners". However, a hot dog wouldn't be a hot dog without the bun. Although there are conflicting stories as to who was the first to start selling their sausages in a roll like we know today, many will agree that the first area to popularize this snack was Coney Island, New York. After selling extraordinarily well in the Coney Island area, the food quickly spread across the United States. Suddenly, popular wiener shacks popped up everywhere, often being opened up by German immigrants, who's history with delicious sausage helped establish the food as a staple around the country. In the 1880s, frankfurters were selling like crazy in the city of St. Louis, Missiouri. The owner of the St. Louis Browns (who would eventually become the Cardinals) began selling them at baseball games, which is how the food grew with and became associated with the image of America just as quickly as it's national pastime. Obviously, times have changed. In today's age, regardless of their origins, hot dogs are known almost exclusively as American cuisine, and are by far more popular in the United States than anywhere else in the world. In addition, the recipe has changed quite a bit, particularly since they are now mass produced and sold and shipped everywhere. 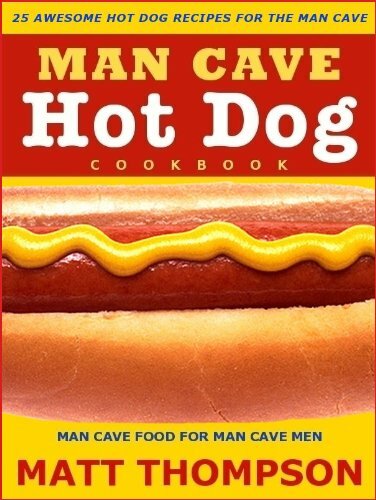 So what's in a hot dog now? Well... that really depends. Nowadays, you can get a frankfurter filled with pretty much any meat out there. Beef, pork, and turkey are all possibilities, and you really have to check out individual brands and packages to see what exact type of meat you are consuming. One thing is for sure though, whatever type of meat it is- a great deal of fat is left in with it, which is why it is such a bad food for those dieting. The high sodium and nitrate content left within the processed meat has also been linked to a plethora of cancer-causing agents, though studies have shown this is generally in cases in which the processed meat is consumed daily over several years. Once you've watched it, you can't un-watch it. A warning to viewers with easily upset stomachs. This is where things can get a little gross. The very essence of forming a wiener as we know today lends itself to being a bit disgusting simply put, watching processed meat being shoved into tubes is gross. But that's not too bad, after all, it's just meat right? Unfortunately, that's not all. Chicken trimmings (leftover meat) is added to bulk up the hot dog. Then comes in the additional flavorings. A type of paste is formed, as starches and salt are mixed in with the meat. After that, additional spices are added, but this varies from company to company and recipe to recipe. Once all of this batter is ready, water is added to give everything a more juicy flavor. This paste goes through a machine that vacuums any air out. Finally, the batter is placed through a machine that squeezes it into individualized tubes, which are ready for packaging and distribution to the public, at baseball games and otherwise. In a way, frankfurters really aren't as bad as their reputation may lead you to believe. The meat is not in fact roadkill, and cancer-causing statistics have been found to be greatly exaggerated. he process for making them may not be pretty, but the same could be said of many of America's favorite snacks. And hey, who can resist the occasional trip to Yocco's? Try out some new recipes for wieners while you're preparing for the big game.